Xavier McMullen Killed, 14-Year-Old Injured in Dallas Apartment Shooting; Was This Tragedy Preventable? Could this unconscionable shooting have been prevented and are justice and compensation available to the young victim and Mr. McMullen’s family? 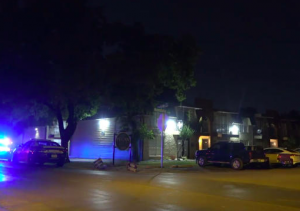 Security measures are in question after a Dallas apartment shooting claimed the life of 25-year-old Xavier McMullen and left a 14-year-old girl injured Saturday, August 4, 2018. According to NBC DFW, gunfire erupted in an “apartment building breezeway…in the 3000 block of Kendale Drive,” shortly after 2:00 a.m. Police told WFAA 8 Mr. McMullen and the young victim “were shot on a stairway at the apartment building.” Tragically, Mr. McMullen succumbed to injuries at the scene. The teenage girl was transported to Children’s Medical Center with multiple gunshot wounds. Her current condition has not been released. 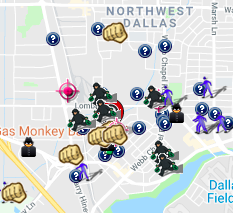 Recent reports from Spotcrime.com reveal a number of crimes in the surrounding area. What additional security measures, such as gated-entry, fencing, surveillance cameras, and security patrols, were implemented by the apartment complex owner to deter crime and protect residents and guests, following reports of local criminal activity? Generally, property owners are required to protect all those legally on the premises from any foreseeable harm. Should the facts of this matter reveal that the property owner or management failed to provide adequate security to protect those on its premises, the family of Xavier McMullen may seek justice and elect to pursue legal claims for his wrongful death. Additionally, the young victim and her family may pursue legal claims for her injuries.